Ride the edge with the tallest and fastest roller coaster at Hersheypark. After climbing 200 ft into the air, you’ll touch the sky before flying downhill at 75 mph in the winged seat coaster train. 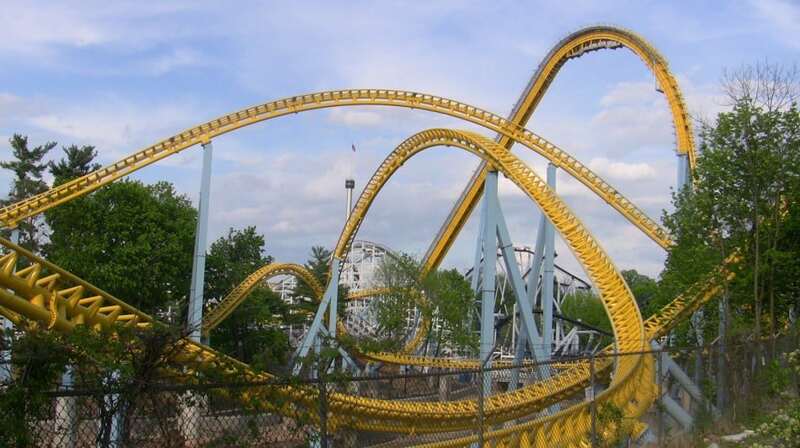 Skyrush has four high speed turns, five zero-G airtime hills, and the highest drop in Hersheypark.